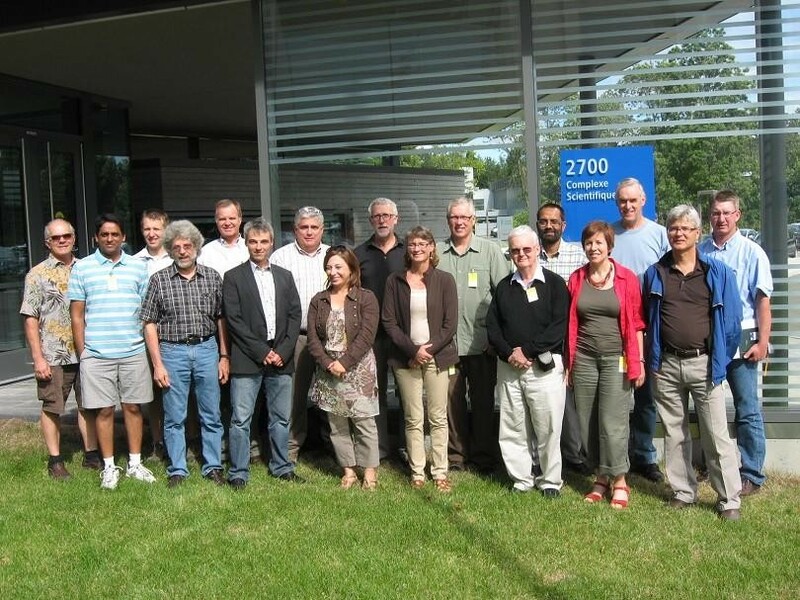 A very successful workshop and field tour was held in Quebec August 21-23, 2012. The event was organized by the Genetics and Breeding Working Group of the Poplar Council of Canada, with local arrangements expertly managed by Pierre Perinet and his colleagues of the Ministère des Ressources naturelles et de la Faune, Direction de la recherche forestière. Twenty people from across Canada (and one from the United States) participated in one day of technical presentations and two days of field visits. The first day of the workshop took place at the main facility of the Direction de la recherche forestière in Ste-Foy, near Quebec City. Eight presentations dealt with national activities and challenges relating to poplar genetics and breeding, as well as breeding techniques for poplar and willow. 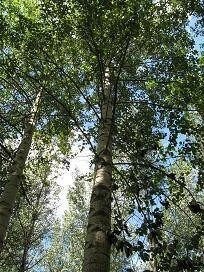 Canada is currently facing great challenges for preservation of valuable genetic resources as several poplar breeding and planting programs are being terminated. Strategies discussed for dealing with these challenges included preparation of a national review paper to raise awareness, as well as certification and variety protection possibilities. Breeding techniques were presented from the perspective of a new Canadian poplar breeder, a seasoned US poplar breeder, and a willow breeder. Oral presentations were complemented by an informative poster session. The first day of field tour featured trials and collections at the Sainte-Luce Forest Nursery near Rimouski in the Lower St. Lawrence River valley. Stops included a Populus suaveolens collection, as well as a demonstration planting and clonal tests of poplar clones. The visit included a tour of the conifer planting stock production operations of the nursery. Following a ferry crossing of the St. Lawrence River from Rivière-du-Loup to St.-Siméon on the second morning, the tour continued to the Shipshaw area in the Saguenay Region to view a series of 15- to 20-year old progeny and clonal tests of poplar clones and hybrids, including P. maximowiczii which is particularly promising in Quebec. The annual business meeting of the Poplar Council was held in conjunction with the workshop. Annual reports, including financial reports, were received, plans were discussed for future annual meetings - in Prince Edward Island in conjunction with the North American AgroForestry Conference in 2013, and in Vancouver in conjunction with the 6th International Poplar Symposium in 2014. Elections were held to fill vacancies on the Council's Board, with Hamid Naeem becoming Secretary-Treasurer of the organization and Raju Soolanayakanahally a member-at-large of the Board. View more photos from the event. View selected workshop presentations.